Heads or Tails, My Stapler, Knives and Nukes, and Much, Much More! Once upon a time, there was a meme enjoyed by LibraryThingers called “TuesdayThingers”. It was hosted by Marie, the Boston Bibliophile, and played on Tuesdays, naturally. The Kool-Aid Mom was one of the many, many bloggers who loved playing along, and looked forward to Tuesdays, stalking Marie’s blog around midnight every Tuesday so that she could jump on the question and post her answer with great relish. 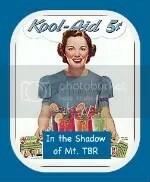 Thenone day, The Kool-Aid Mom was tempted away from her home in Mt. 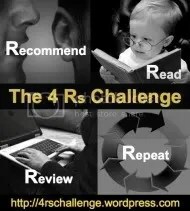 TBR and the blogosphere by the deceptively addictive virtual world of SecondLife. Before she knew it, months had gone by, her fellow bloggers were emailing their concerns for her welfare. Was she still alive? Was she alright? Her brief, random and sporadic posts always received comments of deep relief that she was still in the land of the living. When she received an email from a stranger offering her a free book to read and review, there was something about his book that rang true within her, and she could not resist accepting his offer of Matrimony. What The Kool-Aid Mom did not realize, though, was that the book contain a magical spell that broke the enchantments SL have woven around her. Suddenly, everything was clear! Her eyes were opened to the long months wasted in SLumber under the wizard LindenLab’s evil spell. The Kool-Aid Mom was grateful to the wise author, Joshua Henkin, for her rescue, and gave his book a glowing review, including it in her Top 10 list in the sidebar. However, as she settled back into reading, blogging and memes, she was stricken to find Marie no longer hosted her beloved TuesdayThingers. She became even more dismayed when she couldn’t find where it had moved to. Who is hosting TuesdayThingers now? The Kool-Aid Mom wondered, but to this day, it still remains a mystery to her. Since I’ve lost track of who’s hosting TuesdayThingers now, I visited The Daily Meme to see what might be out there for what is possibly the longest day of the week. So far from either weekend, Tuesday’s doesn’t have the misery of Monday when everyone goes back to the salt mines, nor does it have the glamour of being dubbed “hump” day, like Wednesday. Thursday is practically Friday, but Tuesday is just…. *sigh*… Tuesday. So for today, I found a couple Tuesday memes to play: Heads or Tails and Ten on Tuesday. Ten on Tuesday ~ Ever watched a movie that got bad reviews, or didn’t do well at the box office and think to yourself, “Man, this should have been a HIT!!!”? okay, the whole concept of whether a movie got bad reviews or lost money is lost on me, as I don’t listen to the “movie critics” or watch the financials for the film industry. So, I think what I’ll do with this is just list the top TEN movies I’ve loved, but never hear people talk about or they say, “Huh?” when I do. Anything by Tyler Perry. Period. More specifically, though, I think Madea’s Family Reunion has been my favorite so far, but that’s probably only because I haven’t seen Madea Goes to Jail yet, or because he hasn’t made a movie of Madea’s Class Reunion yet, either, which is the play where Madea suddenly realizes Mr. Brown is Cora’s daddy 😀 FUNNY! Music of the Heart~ Mags and I just watched this last night and loved it! It’s the true story of Roberta Guaspari and her violin classes in the East Harlem school system. Sweet, funny, and moving, it was also a movie that was a conversation starter as Maggie talked at length about her own music teacher… particularly during the scenes where Roberta bit the kids’ heads off. *singing… Go, go, go… Go! GO! Speed Racer! What was not to love with this movie? Racing action; cool, futuristic cars; a monkey and a little brother; Jack, er I mean, Matthew Fox as Racer X… The cinematography was awesome, and it remained incredibly anime-like, even though it was real people. The Rocky Horror Picture Show~ Cult classic, panned by the critics…. Dammit, Janet! Do the Time Warp! Few movies encourage audience-participation, or at least not to the extent of TRHPS. And, though I’ve seen the movie, I’m still a “virgin” as far as going to an event. I seriously doubt it’ll ever be shown here, in my little small-town two-screen theater. Come on, the man didn’t even get Twilight. The Rundown~ The ROCK… nuf said. Office Space ~ I believe you have my stapler, Michael Bolton. Foster: Cat Game? What’s the record? Mac: Thorny did six, but I think you can do ten. Foster: All right meow. (1) Hand over your license and registration. Foster: Is there something funny here boy? Foster: Then why you laughing, Mister… Larry Johnson? Foster: All right meow, (3) where were we? Larry Johnson: Excuse me, are you saying meow? Foster: Am I saying meow? Foster: Don’t think boy. Meow, (4) do you know how fast you were going? Foster: Meow. (5) What is so damn funny? Larry Johnson: I could have sworn you said meow. Foster: Do I look like a cat to you, boy? Am I jumpin’ around all nimbly bimbly from tree to tree? Foster: Am I drinking milk from a saucer? Foster: Do you see me eating mice? Larry Johnson: [the man stops and swallows hard] Yes sir. Foster: Meow, (7) I’m gonna have to give you a ticket on this one. No buts meow. (8) It’s the law. Foster: Not so funny meow, (9) is it? Foster: [Foster gets up to leave, but Mac shakes his hands at him, indicating only nine meows] Meow! Jack the Bear~ I bawl every time I watch this movie. Danny DeVito plays a single dad of two young boys. He’s a local late-night TV celebrity, hosting horror movies, Sammy Terry style. Gary Sinese plays a neo-Nazi in it, and if I had nightmares, his character would be the boogeyman in them. Okay, so I cheated a little with Rocky Horror… I don’t know many people who say “Huh?” to that one, but it did get panned, critically. So, what’s your favorite dissed movies?